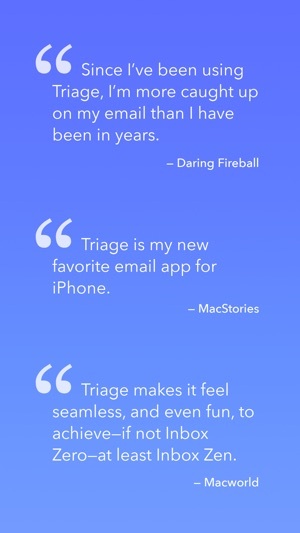 Triage is for people who like to stay on top of their inbox. It doesn't try to replace your desktop mail client, but lets you use your downtime to quickly remove the noise and stress. When you sign in to your mail account, your new messages will appear as a stack of cards. 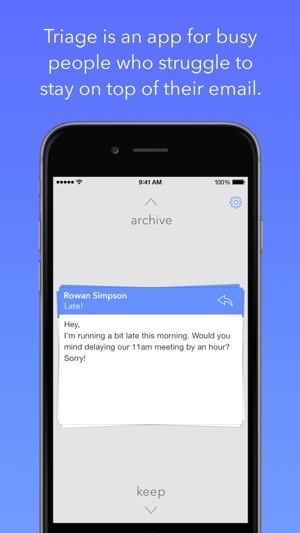 Simply flick messages up to archive, or flick them down to keep in your inbox for later. 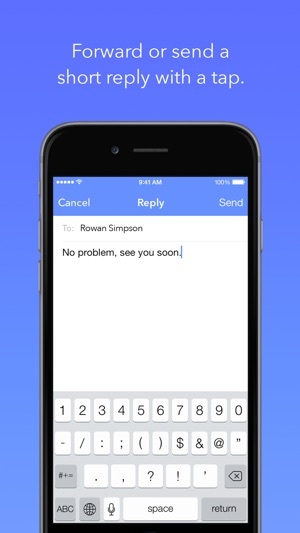 You can also tap a message to view its full contents, and compose a short reply. 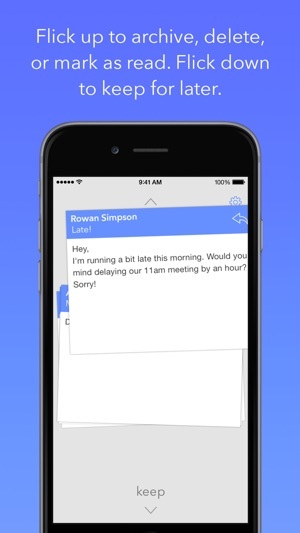 Triage supports Gmail, Yahoo! Mail, and iCloud Mail accounts, and most email services that support IMAP. • New URL scheme: "triage://"
Html view needed in small Windows interface.